Thanks to a federal corruption probe forcing longtime New York State Assembly Speaker Sheldon Silver to tender his resignation today, the legislative house where the MMA bill dies year after year is in flux in terms of who will be named his successor. 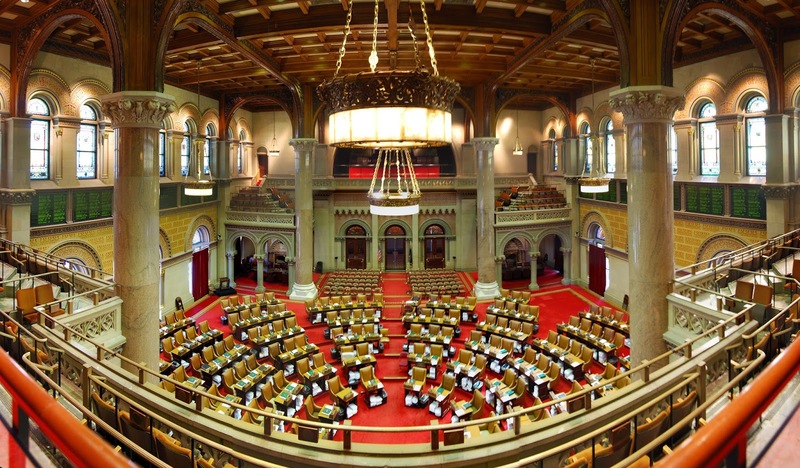 Last week, the race to replace Speaker Silver seemed to be between Majority Leader Joseph Morelle, Assemblyman Joseph Lentol, Assemblyman Keith Wright, Assemblyman Carl Heastie and Assemblywoman Cathy Nolan, with all but Nolan having supported MMA regulation in the past. A quiet Bronx power broker who says he wants rank-and-file lawmakers to have more sway in the New York state Assembly, Carl Heastie has emerged as the front-runner to succeed Sheldon Silver, who departs as the chamber’s speaker on Monday. In less than a week, Mr. Heastie has sewn up the support of many of his Democratic colleagues, including Majority Leader Joseph Morelle and Assemblymen Joseph Lentol and Keith Wright, speaker contenders who withdrew and threw their support behind Mr. Heastie. Some members have even suggested moving up the election from its scheduled date of Feb. 10. What does having Heastie as Speaker mean for MMA in New York? In the past, Mr. Heastie broke from Mr. Silver by supporting a bill legalizing mixed martial arts, a lucrative industry Mr. Silver has worked to keep out of New York. Mr. Heastie said he would discuss the issue with his conference if he became speaker. Those words may not seem to mean much, but they indicate that some necessary traction is heading our way - and that's a very good thing. The times they are a-changing, and for once, they're a-changing in our a-favor.